The first Funding Gap report, this analysis of state and local education dollars reveals substantial funding inequities in most states. 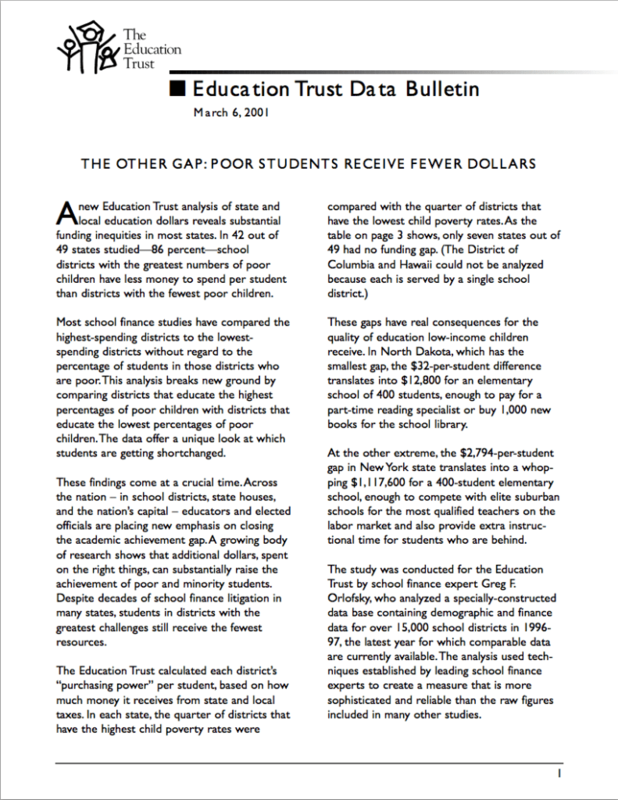 Education Trust Data Bulletin. 3 pages.